(1st June 2010, 3pm) Yesterday’s Israeli attack on the Gaza Freedom Flotilla in which up to 19 human rights activists were murdered in international waters has not deterred the Irish cargo ship the MV Rachel Corrie which is currently en route to Gaza and hopes to arrive this Saturday. Meanwhile the fall-out from the attack has pressured Egypt into opening the Rafah Crossing. 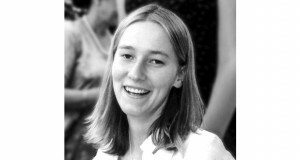 In the Dail, an all party motion which calls upon the government to ensure the safe passage of the MV Rachel Corrie and calls for the blockade of Gaza to be lifted is expected to be passed at around 7pm this evening. The IPSC welcomes this motion and hopes the Israeli government will heed it. The Rachel Corrie was slightly behind the rest of the flotilla due to having to dock in Malta to undergo some engine repairs. 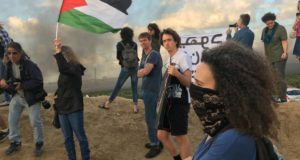 The crew and passengers – which include 5 Irish people – made the decision to continue their journey to deliver supplies and humanitarian aid to the people of Gaza despite further threats from the Israeli military. The Irish on board are Denis Halliday, Mariead Maguire, Fiona Hamilton, Derek and Jenny Graham (bios below). Meanwhile, Shane Dillion, the kidnapped first mate of the Challenger II is on his way home after being deported from Israel. He will arrive in Ireland later today, but his family are asking that the media do not go to the airport. According to family, he will hopefully be available for media interviews sometime tomorrow. Isam Bin Ali, a Libyan-Irish citizen is also due to be deported. Al Mahdi Al Harati, a wounded Libyan-Irish citizen remains in Israeli detention, as do Dr Fintan Lane of the IPSC and Fiachra O Luain. The Irish Ambassador to Israel was due to meet with all the detainees this afternoon. Speaking yesterday, the Irish Minister for Foreign Affairs, Michael Martin, said: “These people did not enter Israel illegally. They were essentially kidnapped from international waters, taken into Israel. And now they are being asked to sign a document almost confirming that they entered illegally. And we think that is unacceptable”. Last night over 3,000 people attended a demonstration in Dublin against the unprovoked attacks by Israel where they heard from speakers Jack O’Connor (ICTU President), Aengus O Snodaigh TD, Chris Andrews TD, Senator Mark Daly, Lord Mayor of Dublin Emer Costello, Dr David Landy and Freda Hughes of the IPSC. Over the past two days there have been protests around the country in Dublin, Cork, Belfast, Sligo, Kilkenny and Galway and further protests will occur over the coming days in Dublin, Wexford, New Ross, Kilkenny and Castlebar. A Nobel Peace Laureate (l976) and Co-founder of Peace People, Northern Ireland, She was awarded the Nobel Peace Prize for her work for peace and a nonviolent solution to the Ethnic/political conflict in Northern Ireland. Mairead has travelled many times to the occupied territories of Palestine to support the nonviolent peoples’ movement for Human Rights, International Law, and Self Determination of the Palestinian people. Maguire was shot with a plastic bullet whilst participating with Palestinians/Israelis/Internationals in a peaceful protest March to the Wall in Bilin, in April, 2007. Mairead went on the maiden Voyage of Dignity in October, 2008, the second successful voyage for the Free Gaza Movement. She was also on Board ‘Spirit’ when Israel hijacked the Boat in International Waters, taking all 2l humanitarian passengers to Israel, where they were arrested, detained for a week in an Israeli prison and then deported. UN Assistant Secretary-General from 1994-98. Appointed by SG Boutros Ghali, he served as ASG UN Human Resources Management in New York and in mid 1997 to end 1998 as Head, Humanitarian Programme in Iraq to support the Iraqi people struggling under the genocidal impact of UN Sanctions. Prior to that, as a development manager, Halliday served UNDP from 1964-94 in Iran, New York Hqts, Malaysia, Singapore, Brunei, Indonesia, Samoa, New York again and finally as head of the UNDP Regional Office in Thailand. Since resigning from the UN in 1998, Halliday has delivered numerous parliamentary briefings, provided extensive media inputs and has given public/university lectures on Iraq, human rights, and the UN, in particular its reform. He was a visiting professor at Swarthmore College in Pennsylvania and teaches/speaks at universities in Ireland, Canada, UK and USA. Halliday is a graduate of TCD, has an honorary PhD, was nominated for the Nobel Peace Prize and was awarded the UK Gandhi Peace Prize. Derek has been a qualified electrician for 20 years. He was a member of the reserve defence forces in Ireland for 21 years and was the first member of the reserves to make the Army sailing team. He has been sailing all of his life and is a crew member on the MV Rachel Corrie. 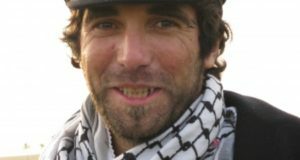 He has participated in many previous Free Gaza boat trips to Gaza and has been on four of the five voyages that landed in Gaza. He is married to Jenny, who is also on the MV Rachel Corrie. A member of the Free Gaza Movement, Jenny has participated in previous boat trips to Gaza and is a member of the crew of the MV Rachel Corrie. She is married to Derek Graham.